High Metrics Niche Relevant Blog Commentswith with thematic or contextual comments is the most latest and advanced service i am providing to our royal customers! The High Metrics Niche Relevant Blog Comments isfar more effective. It’s going to put a mass traffic for your site which will result in a large number of visitors. It will definitely bring your site to your desired positions in the popular search engines. 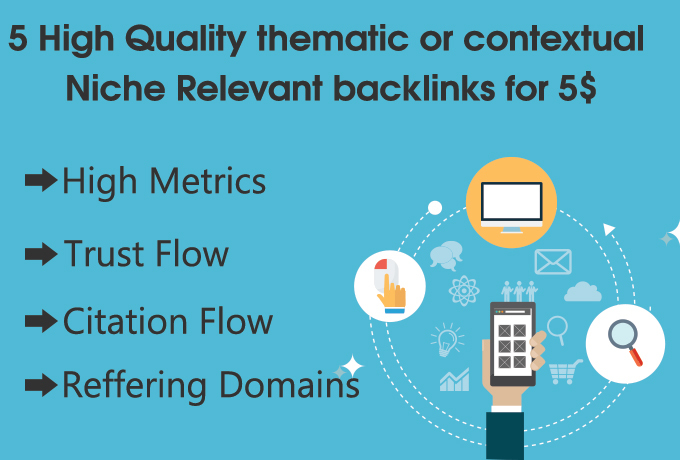 offer 5 High Metrics Niche Relevant blog comments Backlinks with Contextual Comments + Guaranteed Serp in 30 days is ranked 5 out of 5. Based on 6 user reviews.